Get it shipped to you in August-September; in time for the school year! SPECS/DETAILS: The design is bold and POPS exactly as we wished. The straps and ENTIRE back is very (very) padded. 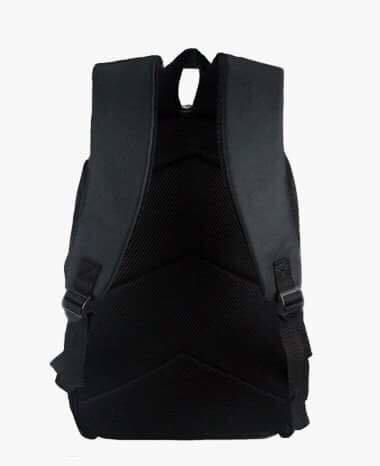 There are METAL zippers and mesh (stretchy) side pockets that can fit any water bottle. 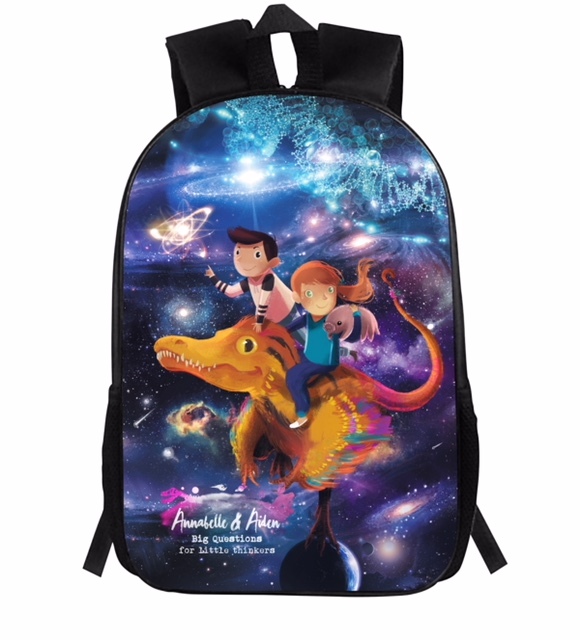 This is the perfect A&A backpack for kids ages 5 and up. (16.8″ tall, 11.3″ wide). (With an iPad/laptop pocket, this is great for adults too.) This does NOT feel in any way like a cheap backpack, but rather a quality bag to last for many, many (rough) years.